Projects+ documentation is now available online at projectsplus.saglobal.com. Users can switch the documentation version to match the Projects+ version they are currently using. 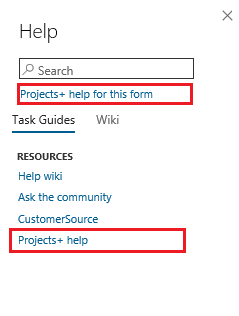 When using a Projects+ form inside the application, the help window will display a link to the documentation articles that apply to the form the user is currently using. Projects+ features are 100% extended without overlayering in this release. Extension-based development makes Projects+ easier to maintain over time. Projects+ periodically has hotfix rollups to maintain product quality. Extension-based development helps simplify the installation of any fixes. Wondering what happened to Projects+ version number 2.4? Projects+ version numbers now corresponds to the Dynamics 365 Finance and Operations version numbers. So as per the recent Dynamics 365 release, Projects+ version is renumbered to 8.0. Projects+ has introduced a new feature, “Learning Plans”, which will help educate employees/users about Microsoft Dynamics 365 Finance and Operations. 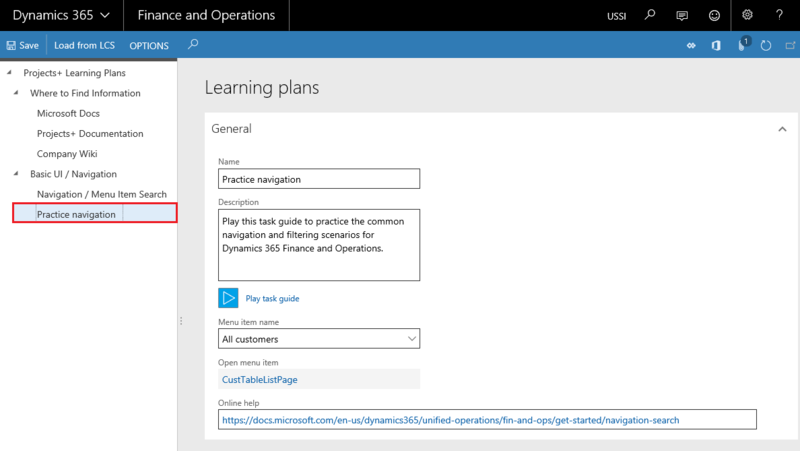 Learning Plans provide users with a guided experience to run Task guides, investigate Menu items, and visit helpful websites to learn more about Dynamics. When users are running through the Learning Plan items, Dynamics will open each item in a New browser tab so users do not lose their place in the training. For more information on this feature click here. Projects+ now provides an option to import the PTO balances after each payroll cycle from an external HR or payroll system. A Data entity called “PTO balances” is available to facilitate this import process. This feature provides users and approvers additional places to view PTO balances. There is a modification to the project invoice proposal form to display the project invoice grouping information. The invoice lines grouped based on the invoicing grouping is now available on a tab called “Invoice lines”. This tab has a preview of what will be printed on the body of the Invoice document. A new Data entity has been introduced to help integrate Timesheets from external systems. This entity uses a very simple, flat data structure and writes the data into the more complex Dynamics 365 Timesheet tables. The entity will create timesheets in a draft status, or mark records in an error status if the timesheet record could not be created, and provides a detailed error log. The Data entity also accepts data that may need to be transformed. For example, Worker Id could be provided as the Dynamics 365 Worker Id, or the Worker’s Email address. The logic on the Data entity will try multiple lookups to find a valid matching record in Dynamics. This lookup logic is Extendible. 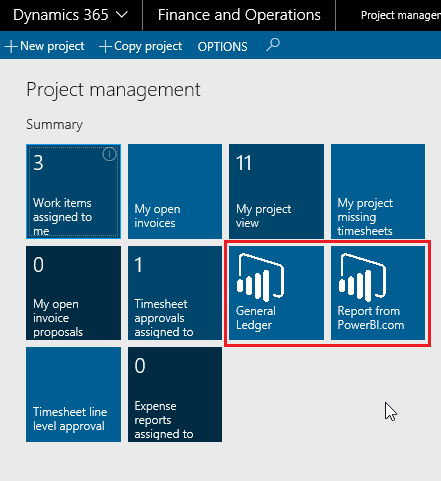 Dynamics 365 Finance and Operations users can now view any PowerBI.com reports by clicking on a Workspace tile. After selecting a PowerBI.com report tile the reports will open inside of Dynamics 365 similar to a Power BI Embedded experience. Projects+ allows an administrator to manage these tiles from a configuration page. By default, up to three tiles can be added per Projects+ Workspace through configuration. 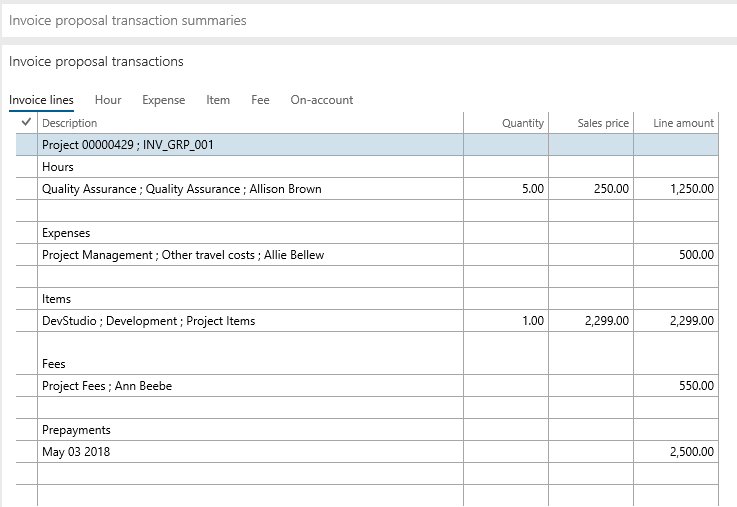 In standard Dynamics, PowerBI.com integrated reports were only available through personalization, meaning each user had to configure their own reports. By introducing this feature, Projects+ allows a streamlined method to centrally manage deployed reports.